President Kelly Walker and several members of the VBEA Board of Directors attended the VEA Pre-Legislative Dinner last night at the Norfolk Technical Center. Over 40 members of the VEA Listed as President Jim Livingston encouraged members to Red for Ed in support of fully funding public education. 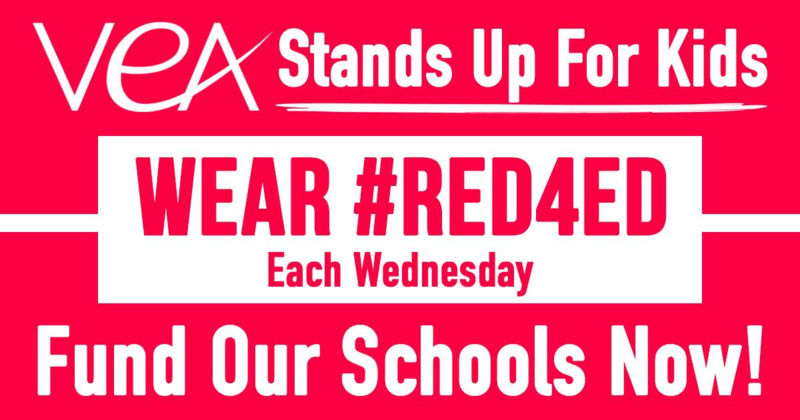 Join education employees from around the state and wear red for ed on Wednesday’s!